Back in April we brought you the good/apocalypse-indicating news that all-you-can-eat French fries would be coming to McDonald’s. But some questions remained, chief among them: When we can we all start stuffing our faces with an endless buffet of fried potatoes. You can now consider that questioned answered. On August 4 the bottomless fry promotion will begin at the McDonald’s in St. Joseph, Missouri, or, as we’re sure you already know it, home of the Pony Express Museum. According to Business Insider, who spoke with franchise owner Chris Habiger, the endless fries will not be available endlessly. Habiger said the promotion would be for a limited time, but declined to say just how limited that time will be. More importantly, however, if you’re a McDonald’s French fry lover wondering when this offer might come to a store near you, don’t hold your breath. 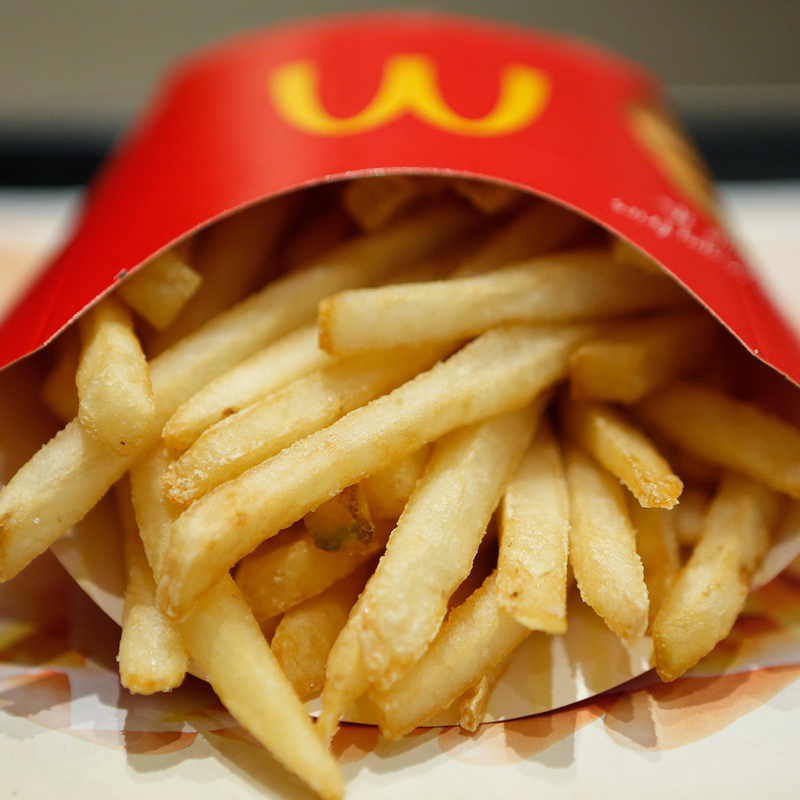 A McDonald’s spokesperson told Fortune that all-you-can-eat fries aren’t planning to head anywhere else: This promotion is exclusive to celebrate the St. Joseph’s location. So why does St Joe, M.O., get all the fun? Habiger has been billing his new 6,500-square-foot franchise the as “McDonald’s of the future” featuring all sorts of amenities beyond the one-time fry offer including both digital ordering kiosks and table service, a dessert bar (for those who are still hungry after they’re done back stroking in French fries), a “party room,” a lounge area with couches and arm chairs, and, for kids and parents looking to burn off some of those calories, a three-story PlayPlace featuring tables with interactive lights and video games. But back to those endless fries: Still no word on how much they will cost. But we assume they won’t make it on the McPick 2 menu.